Paint Out provides an excellent opportunity for aspiring and seasoned artists to acquire and refresh core skills. Themes include painting and drawing, colour theory, reportage, perspective, and best en plein air practice in oils, watercolour and other media, both as practical workshops and as public paint outs. Our education programme is taught by experienced professionals and covers everything you need to take your art to the next level, with a particular emphasis on Plein Air essentials. In addition, we have entrepreneurial advice about growing your art business alongside your art practice covering blogging, social media, photography, framing, pitching to galleries, and selling. Finally, we put things in context with cultural and historical talks and tours. More details to follow/below. Join our mailing list or register interest in our events to stay informed. We’ll explore some simple techniques in oils for improving tonal balance and composition, helping you to improve depth and realism in your work. Trained in the classical techniques of fine art oil painting Nial has become known for his evocative landscapes and, in particular, his big Norfolk skies. This session, aimed and improving beginners and competent artists, will help you to refine your understanding and use of tonal values, often neglected in pursuit of colour. Nial will share some simple methods of building form and depth through the use of a limited palette. These techniques, while ideal for landscape work also apply across all other genres of oil painting. Working in a small group with Nial, you’ll be using limited colours and brushes to quickly establish strong composition and build confidence in using the full tonal range. At The Crypt Gallery, Norwich School, Cathedral Close. Bring your own materials (list in event booking link). Using Norwich Cathedral as inspiration, this artist-led group will enable the children to capture elements of perhaps the close, the cloister, a statue, the labyrinth, the tower, the filigree windows in sketch form – and then they will head back to the Crypt Gallery to paint it. Aimed at 5 – 10 years. All materials will be supplied. Location: The Crypt Gallery, Norwich School, Cathedral Close. The workshop will explore how to document places, people and events through drawing on location. 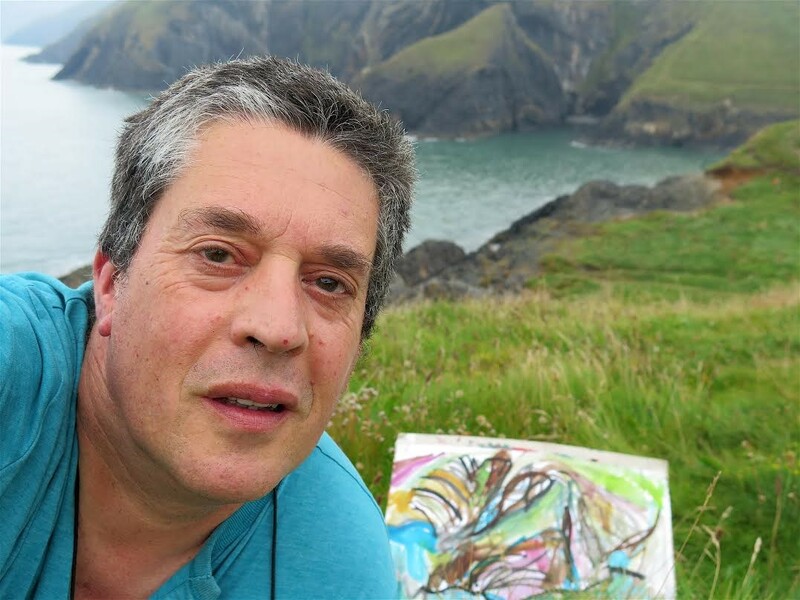 Owen will talk about his experience of producing artwork and share his preferred mediums and working methods. Along with warm-up exercises, practical hints and tips in order to start creating artwork and develop your own way of working. Including: An introduction to reportage illustration and its history; Overview of leading practitioners today; Media and techniques; Drawing in public; Subject matter; What makes successful drawings; Demonstration and appraisal of work produced during session. Suitable for ages 15+, novices, keen students, and aspiring artists. The Crypt Gallery, Norwich School, Cathedral Close. Bring your own materials (list in event booking link). This workshop is aimed at keen beginners and intermediate-level students wishing to improve their painting skills and explore different styles and methods of watercolour painting. The course will cover the following areas: painting materials and equipment; preliminary drawing in pencil; direct painting with the brush; the controlled wash; using a limited palette; tonal painting; understanding paper weights and surfaces; understanding brush types and sizes. We shall explore a range of methods and techniques and compare and contrast the working methods of various different artists. There will be a practical painting exercise with guidance provided by the tutor followed by a constructive appraisal of each students’ work. Includes outdoor work beginning at The Crypt Gallery, Norwich School, Cathedral Close. Bring your own materials (list in event booking link). 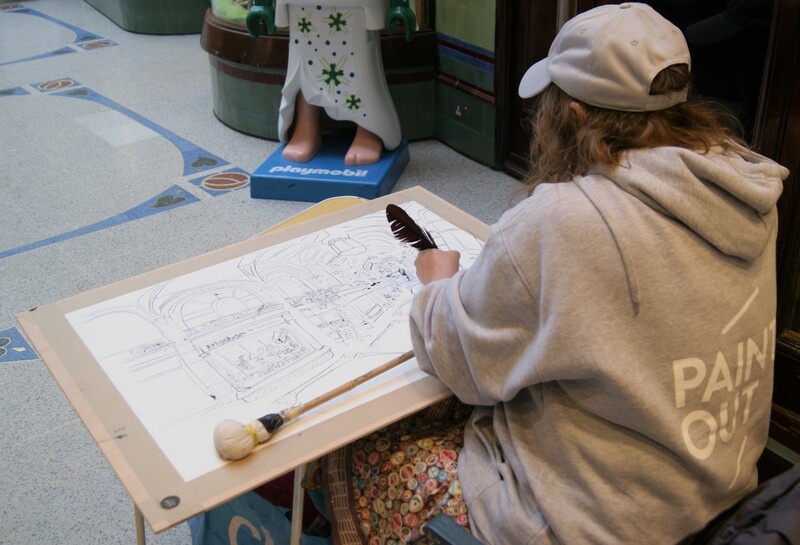 Using Norwich Cathedral as inspiration, this artist-led group will enable the children to capture elements of perhaps the close, the cloister, a statue, the labyrinth, the tower, the filigree windows in sketch form – and then they will head back to the Crypt Gallery to paint it. Aimed at 10 – 14 years. All materials will be supplied. Location: The Crypt Gallery, Norwich School, Cathedral Close. An introduction to colour theory with the emphasis on improving the use of colour in paintings of any media. We will practise mixing and using colour effectively and discuss different approaches to paintings to explore the ideas talked about. Suitable for beginners, those with some experience, and anyone who would like to improve their colour theory awareness. All materials will be supplied. Location: The Crypt Gallery, Norwich School, Cathedral Close. Running around 12:30pm each day, illustrator Nick Ellwood will run a 2 hr class, £15 to join in. 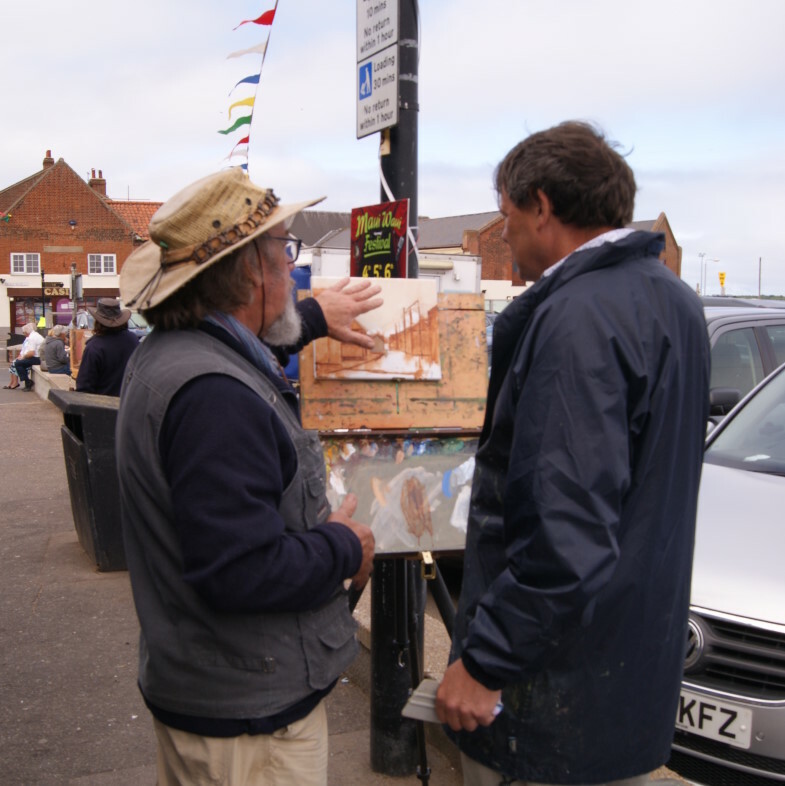 A two-hour drawing session with reportage artist Nick Ellwood to create location based drawings and to celebrate the Royal Norfolk Show. During this session Nick will talk a little about his experience of working as a reportage artist, sharing a few tips and insights into the way he works. 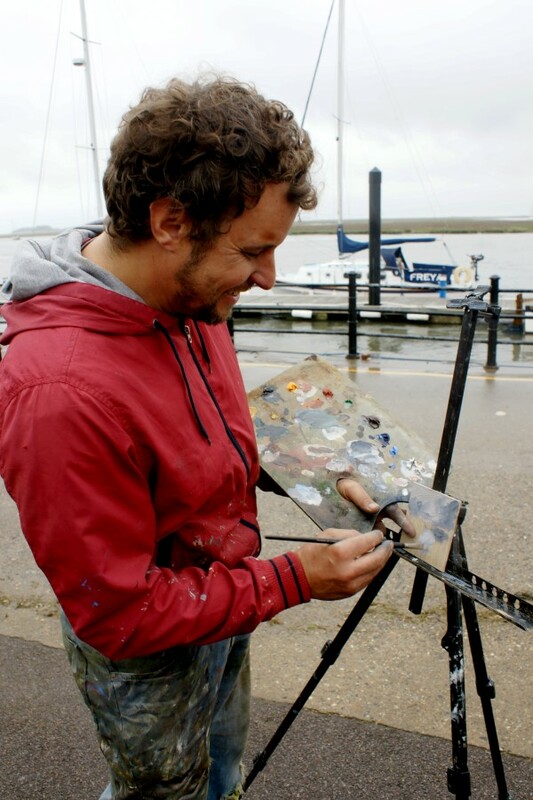 Nick will introduce a couple of quick drawing exercises to help sharpen the eye, create fast spontaneous drawings and to break down inhibitions of drawing in public, going on to work with the group to help record their own experiences of and to celebrate this year’s Royal Norfolk Show. 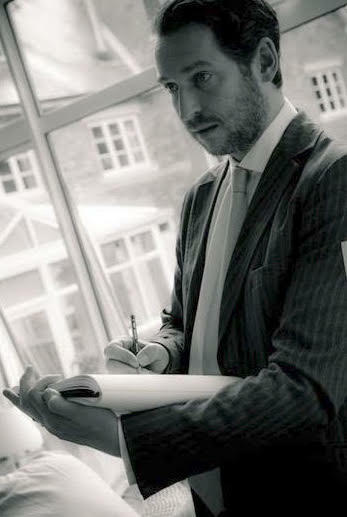 Nick studied Visual Communications and Illustration at the Chelsea School of Art. He has most recently been involved in documenting the refugee crisis at The House of Illustration. All Norwich workshops begin at Anteros Arts, 11 – 15 Fye Bridge Street, Norwich NR3 1LJ and may include outdoor work. Nial Adams is a landscape artist painting oils in the classical style of tonal realism. His work features well-known locations, as well as abstracted artworks. He works from his studio in Hevingham under the title of Big Norfolk Skies. In this session, Nial will share some of his knowledge on the aspects of creating tonal value in your artwork. You’ll be working in oils on canvas, with a restricted palette. This fundamental aspect of art will help you to create greater depth and contrast, whether you’re painting or drawing, from landscapes to portraits. Suitable for aspiring and seasoned artists. Perspective drawing for the award winning view. Norfolk artist Eloise O’Hare, famous for her lively paintings of landscapes will lead this fun and hands-on workshop. After a brief discussion and looking at some example work, you will be taken outdoors to draw by the river. Eloise will help you to find the perfect view for your drawing, plan the composition and will teach you some simple tricks to get your perspective just right. Social Media guru with 15,000 followers, and 100,000 views a month, Web promotion specialist (“how to get to no#1 on google”) Katy Went will help you learn how to maximise your social media reach for your artworks with Facebook, Twitter, Pinterest, Instagram, etc – and how to find the best platform for your style and expertise. How and when to write your posts, how and where to share them for 7,000+ reach and 20% interaction. The Paint Out Norwich 2016 programme of oil, watercolour, drawing, light & colour, social media for artists, workshops and took place on Saturday 15 October, see below. At Paint Out Wells we ran a workshop on “Painting under Changing Light“, delivered by Michael Richardson, UA, who is doing the Norwich, dusk to dark, nocturne painting workshop. Check out some of last year’s workshops below and/or register your interest in current and future art education and painting practice. 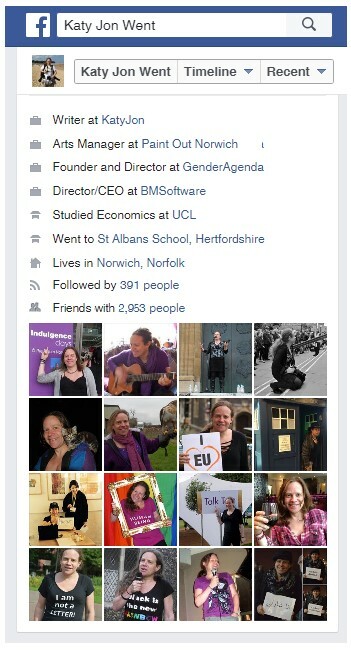 Social Media guru with 14,000 followers and Web promotion specialist (“how to get to no#1 on google”) Katy Went will help you learn how to maximise your social media reach for your artworks with Facebook, Twitter, Pinterest, Instagram, etc – and how to find the best platform for your style and expertise. As a photographer, writer and promoter, she knows words and images, and how to get them read and seen. 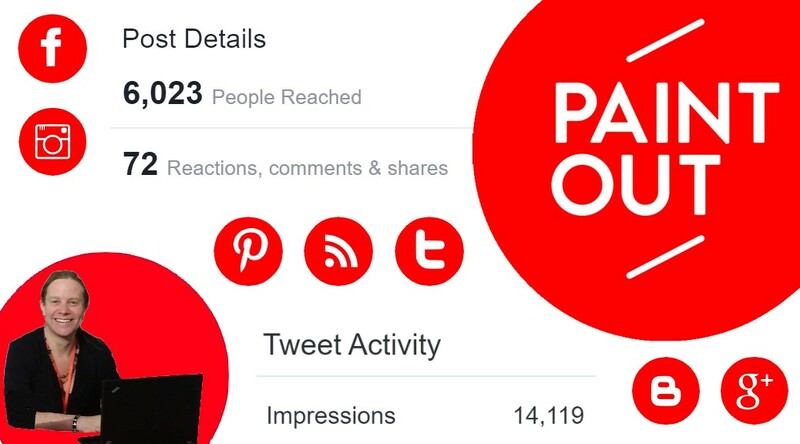 For instance, how to get 35,000 views of a single blog post, 3,500 reach for your Facebook post, 350 clickthroughs to your website, 1200 likes on an album of images, posting tricks for 30 art and artist groups. Blogging, tagging and art photo-sharing tips. Bring a laptop, tablet or smartphone or hire one for £5. Before modern oil paints, artists made their own paint using egg and other natural materials. Artist Sue Mann will lead this unusual workshop in how to mix your own egg tempera paints, and then use them to paint a still life. *Children includes everyone, age 6 and upwards, young at heart adults may apply and try a small amount of pre-prepared artist’s pigment. 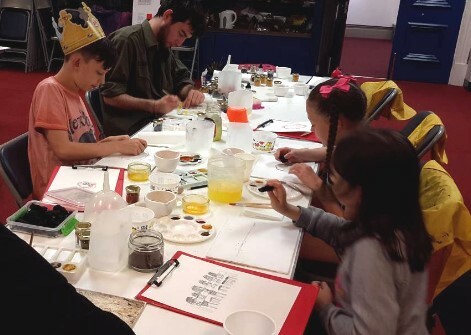 They can also bring along some white gouache and watercolour/gouache to learn how to combine with the hands-on activity and their current practice. Includes a break for kids and adults alike to stretch their legs and let off steam. Read more about Sue Mann’s art tutoring services. Artist David Lindsay looks at colour theory in practice for painting from life. Beginners and experienced artists welcome. Creative exercises designed to develop an individual sense of colour followed by a chance to test out skills by working outside. Materials supplied for morning session, bring your own materials for the afternoon session. Friendly and informal life drawing session with artist Brian Korteling. Everyone is welcome from the complete novice to the most experienced of artists. Drawing materials are supplied, though bring other equipment if you like. Includes a 10 min break for tea/coffee, a biscuit and a chat in the middle of the session. An indoor briefing and, then working outdoors in disappearing light. This nocturne oil painting (watercolourists may apply but techniques are primarily aimed at oil painters) workshop is delivered by seasoned professional, Michael Richardson, a member of the Plein Air Painting Society, The Wapping Group of Artists, and who shows in the Royal Academy Summer Exhibition. He paints outside almost every day in the Impressionist style for collectors worldwide. His workshops are very well attended when delivered at Paint Out Wells and Norwich. 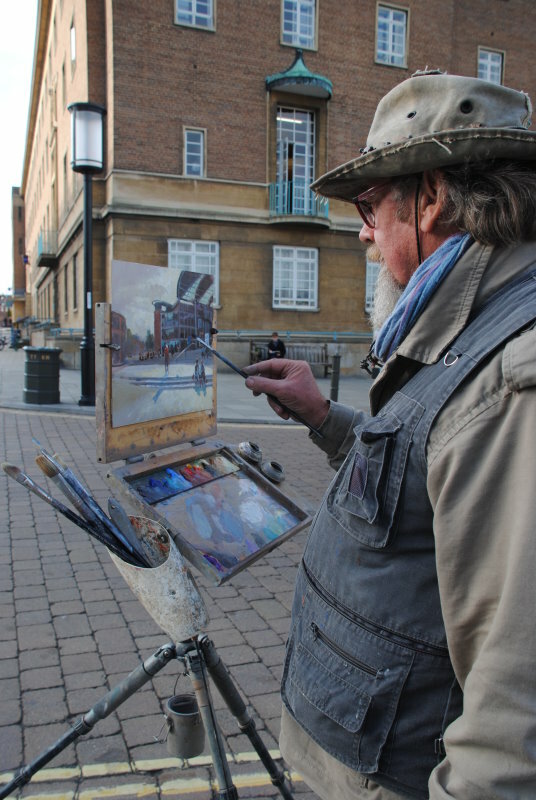 He was the winner of the inaugural Paint Out Norwich 2015 Nocturne Painting Competition. Both Michael Richardson and Denis Clarke are well known professional en plein air painters, who guided beginner and intermediate artists through the steps needed to create a successful open-air painting. 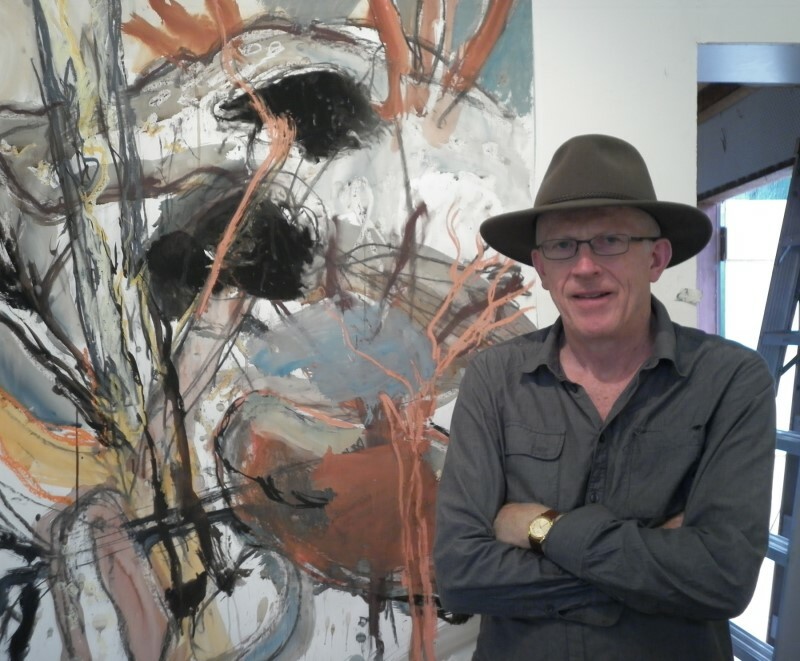 Denis Clarke is a well-established artist who exhibits and teaches in Australia and the UK. He studied at the National Art School Sydney, St Martins School of Art, London and Byam Shaw School of Art, London. He also taught in Switzerland and was awarded a studio scholarship at the Cité Internationale des Arts, Paris. He has been both the recipient of major awards as well as judged several prestigious art prizes. Denis is renowned for devising and delivering innovative master class courses linking observational drawing to creative and experimental methods with drawing and mixed media. This is a rare opportunity to learn from an international artist and art teacher. 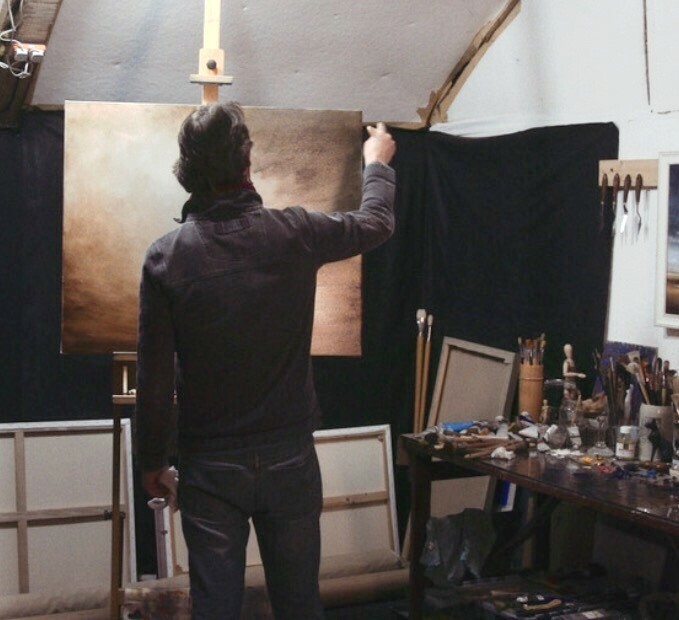 This introductory oil painting workshop is delivered by seasoned professional, Michael Richardson, a member of the Plein Air Painting Society, The Wapping Group of Artists, and who shows in the Royal Academy Summer Exhibition. He paints outside almost every day in the Impressionist style for collectors worldwide. This workshop was very well attended when delivered at Paint Out Wells and Norwich. Paint Out Wells 2015 also saw an oil workshop by Michael Richardson as well as one in watercolours by Richard Bond.